I just recently returned from Pittsburgh, where I had the pleasure of attending AAC&U's annual Diversity, Equity, and Student Success Conference, an exciting meeting of almost 1,000 faculty, staff, administrators, and students striving to make our work in higher education more equitable and just. During the meeting, NCHC Past President Naomi Yavneh-Klos and I co-facilitated a workshop with Tim Eatman, Inaugural Dean of the innovative Honors Living‐Learning Community at Rutgers University, Newark, entitled "Inclusive Excellence in Honors: Reframing the Narrative and Reimagining our Community." The goal of the session was to interrogate the values typically associated with honors, ask how those values do or don't align with equitable and just practices, and imagine a reframing of honors along the lines of inclusive excellence. The conversations during this workshop were interesting, encouraging, and sometimes challenging. There remains suspicion in some quarters about honors as a place of privilege, remove, and elitism. Some attendees shared personal stories about not feeling welcome in their own honors program because of the way in which that community understood itself or conducted its business. One of the purposes of NCHC's recently approved statement on diversity and inclusion, as well as NCHC's strategic initiative around diversity is to encourage all of us in honors education to reflect on our practices and ask hard questions, for example, around how we recruit and admit students to honors: are we using standardized tests scores and certain types of essay questions that privilege certain groups of students over others? Do honors participation fees and overly restrictive first-year GPA requirements favor certain classes of individuals? When we frame the honors opportunity in our recruiting literature, are we using language that is inclusive and that speaks to students from a wide range of backgrounds, experiences, and identities? These are not easy questions because they sometimes bump up against institutional imperatives, long-standing traditions, or even misconceptions and fear. But honors has always been a place of innovation, risk-taking, and learning, so I would ask all of us to try to bring that same spirit of intellectual adventure to our diversity, equity, and inclusion work, both inside and outside the classroom. You've seen the social media quizzes that can predict your personality, soul mate, color, or spirit animal. I've been warned that those are spam – and that in reality, they really don't provide you with an accurate vision of your authentic self. They're fun - who wouldn't want to know that they were Queen of England in a previous life? - but for the time involved in answering the questions, you really don't get much in return. Do you get goosebumps when you talk about the value of honors education? 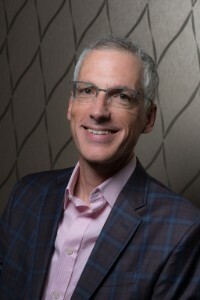 Is your passion tied to expanding your professional connectivity through visionary leadership? Can you tailor your personal expertise to address the growing needs of network of honors directors, deans and professional staff? Are you driven to answer questions with intentionality? Are you a "meaning" maker? Did the number of 'yes' answers make you smile and nod knowingly? Guided by the recently established strategic plan, board members will continue plans for engagement and initiatives that showcase honors in the areas of research, professional development and advocacy. 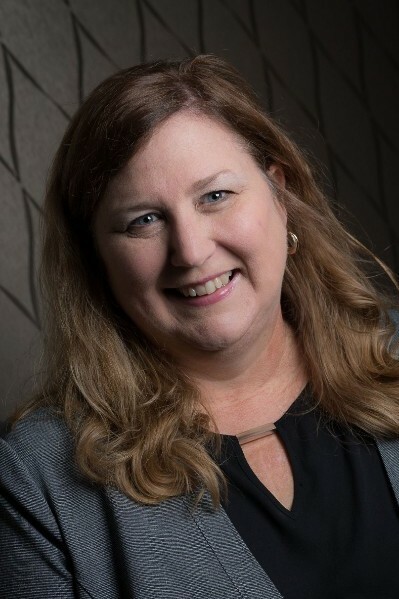 Your energy and perspective will provide both the membership and board colleagues key insights for projects and partnerships that may not yet exist until you take your seat at the table. Your knowledge will help the network and organization with legacy-driven next steps. And isn't that a better return on your time than knowing you are a chameleon? NCHC nominations are now open. If you have questions about the time commitment or the financial obligations of board service, your national office staff or a current board member can provide you with further details. If you attended a regional conference in 2019, you can still enter NCHC's regional giveaway! 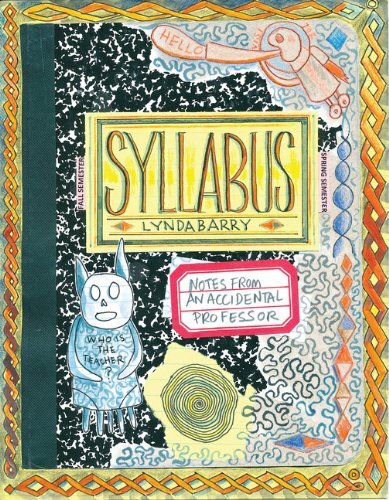 Win a copy of Syllabus by NCHC19 Plenary Lynda Barry - and an NCHC T-Shirt! Just answer 3 quick questions to enter! Last year was the first time we offered a Student Consultant's Corner at the Annual Conference, as a part of the Students in Honors (SIH) track. It was quite popular with over 90 students meeting with honors faculty 1-on-1 to get feedback on a resume, CV, personal statement, elevator pitch (introduction) or how to talk about their honors journey with others. We are offering this again in New Orleans, during the SIH session on Thursday. The more volunteers we get to staff a 1-hour slot, the better we'll be able to serve the students who attend the conference. Can you contribute your expertise for an hour during NCHC19? Looking for other ways to volunteer at #NCHC19? See the Opportunities page for more options! Did you know that April 7-13 was National Volunteer Week? Established in 1974, National Volunteer Week is an opportunity to celebrate the impact of volunteer service and the power of volunteers to tackle society's greatest challenges, to build stronger communities and be a force that transforms the world. As a membership association, the NCHC relies heavily on volunteer efforts to keep moving forward. In 2018, there were nearly 700 volunteer positions that assisted NCHC in its efforts. Whether members choose to facilitate at a conference or institute, lead a training or event, engage the community through discussion and mentoring, or contribute leadership through a committee or governance position, your time and your contributions are what makes NCHC what it is. If you're looking for volunteer opportunities with NCHC in 2019, we have a place for you! Please reach out to the national office with questions, or watch the website for available options. The 2019 Portz Interdisciplinary Research Fellowship applications have closed, and are now under review. While we wait to find out which lucky recipients will be selected as 2019 winners, we have received final progress reports from two of our 2018 Portz Interdisciplinary Research Fellowship winners. Read on for an update on their research projects! If you are interested in nominating a student for a 2020 Portz Interdisciplinary Research Fellowship award, applications will open in January 2020. Currently, we are putting some finishing touches on our scholarly article about Martin ReWire Movement Method (MRMM) that is being submitted to the Physical Therapy Journal. Additionally, we ran another study on the efficacy of MRMM on a young population living with ADHD. We conducted this study with the StarPoint school which is a laboratory school attached to TCU that provides children with learning disabilities the opportunity to reach their educational potential. We have gathered all of our data and have been in the process of analyzing it before working on another scholarly article that we plan to publish. I have paired with an early-intervention childhood education program through TCU called, KinderFrogs. I am using a different form of dance called Contact Improvisation on a population of children living with Down syndrome (18 months - 6 years old). Contact Improvisation has shown to increase the range of motion of patients living with Parkinson's Disease and I am interested in how the intimacy of Contact Improvisation can impact the relationship between child and caregiver. This study will analyze how Contact Improvisation between children and their parents will impact the child's ability to respond to current and future daily demands in the environment using various likert scales. This study, entitled "Coffee & Contact" has so far recruited 5 children and one of their respective caregivers from KinderFrogs. Not only will this study serve as my Departmental Honors Thesis but I will submit it to the TCU Boller Review, a journal for undergraduate Research and Creativity next Spring (2020). This study will be supervised by a very interdisciplinary team consisting of Dr. Martin (dance), Dr. Simanek (chemistry), Dr. Luque (biology), and Dr. Young (education and movement science). Furthermore, the TCU School of Interdisciplinary Studies is increasing its presence on campus. Dr. Simanek, my sponsor for my NCHC submission last Spring, has had a major role in leading the efforts. Additionally, our MRMM research team was interviewed and photographed recently for the cover of Endeavors Magazine and a section in the April addition of the TCU Magazine. I am very honored and humbled to be a recipient of such a prestigious NCHC Portz Interdisciplinary Research Fellowship, especially on behalf of my beloved school, TCU. I recently took the MCAT on 15 March 2019 and the work I have done through this Fellowship surely has left me confident and excited for my career in the scientific community. I will be applying to various M.D.-Ph.D programs in May, 2019. In my last progress report, the main points were about follow-up sessions with our sample, conference presentations, and changes to my thesis. From the last update I sent in, our sample has increased from 29 to 37 adult participants. We now have 20 child participants in our sample, up from 10, and have maintained recruitment of only adult participants with children who fit our inclusion criteria. Our lab has also started conducting 6-month follow-ups in December of 2018 for those participants who completed their first surveys in June of 2018. We will continue to conduct 6-month follow-ups with the rest of the participants depending on when their initial interview took place. I was also able to present preliminary data on my project at the Eastern Psychological Association conference held in New York City, NY in March of 2019. My poster was titled, "Legal Status Effects on Parent-Child Relationships and Well-Being." The findings I presented were based off of preliminary qualitative, thematic data analysis. As my thesis due date is approaching (April 15, 2019), I have two other presentations I will be participating in. The first will be on April 12 at the Ballotti-McNair Research Symposium, and the second will be at the Honor's Program Spring Research Symposium held on May 1, both held at Suffolk University. On April 22, 2019, I will submit an abstract to the National Latinx Psychological Association (NLPA) annual conference, to be held in October 2019, for an oral or poster presentation. Lastly, my thesis is in its final stages of writing! I am very excited for this as the Portz fellowship has really been focused around the completion of my thesis. While I mentioned in my previous progress report that we were aiming for a sample size of 30, and I was close to reaching that goal, the sample size for my thesis is now 27 as some of the participants needed to be excluded because they were not parents. Once my thesis has been submitted and approved by the Psychology Department at Suffolk University, I would be happy to share the document with the Portz Fellowship committee. Also, as stated in the previous progress report, although I will be completing my thesis, Dr. Marks's larger study will continue. We are still aiming to have a total of 40 parent-child dyads by July 2019. We have also started a feasibility study on using a coloring/workbook for parents and children to work on together to teach children about the different, and mostly difficult, parts of immigration and deportation. While that study is separate from the work I have conducted with the Portz Fellowship, the feasibility study has come directly from a need we have witnessed in families because of Dr. Marks's parent study. Lastly, I know that I am nearing the end of my fellowship award and I am both excited and sad to see the end is near! However, with the Portz, I have been able to achieve many things. First, I have been awarded the Elizabeth Williams award, which is our psychology departmental award for high academic achievement and contribution to the field of psychology. I would also like to share that I have committed to a counseling psychology PhD program at Virginia Commonwealth University, where I plan to continue my work with undocumented families under the mentorship of Dr. Oswaldo Moreno. I thank the Portz Fellowship award for helping my graduate application stand out from the rest, as I truly believe it set me apart from all the other incredible applicants, and for providing a foundation for research that is very near and dear to my heart. The NCHC Research Committee is pleased to announce a call for interested parties at NCHC four-year degree member institutions to join the Honors Consortium for the Spring 2020 administration of the National Survey of Student Engagement (NSSE). The NSSE is one of the most widely used surveys of undergraduate student experience in the United States, asking questions on high impact practices and dozens of other items of interest to honors educators. New in 2020, we are also seeking interested parties at NCHC two-year degree member institutions to join the Honors Consortium for the spring 2020 administration of the Community College Survey of Student Engagement (CCSSE). The CSSE is a well-established and widely utilized tool that assists community colleges in their quest to engage in sound educational practice and identify needed improvements in student programs and services. These projects open up to participating institutions the possibility of comparing honors to non-honors students on every item in the standard NSSE and CCSSE surveys. For full details, see the complete calls below! UReCA, the NCHC Undergraduate Journal of Research and Creativity Activity, would like to congratulate our 2019-2020 new and returning editors. The team represents diverse fields and hails from all NCHC regions. A big Thank You goes to all faculty who wrote letters of support for the candidates. Works submitted may be works produced for classes or works produced outside of a classroom environment. Undergraduate students who are currently enrolled in any college or university are eligible to submit. Written works must be a maximum of 15 pages double-spaced. Authors may submit one work at a time. Please wait for a decision on your submission before submitting a subsequent work. All submissions are processed through ureca.submittable.com/submit and are subject to a double-blind peer review process. Do not include your name or college affiliation or other identifying information within your work. Within the appropriate fields on the submission form, please do include personal information. Images that accompany the text or other images should be of sufficient quality to display online at the size desired. A minimum of 72 dpi is acceptable. In regard to style of presentation, refer to the preferred style in your field. For works in the humanities, MLA style is preferred. For works of science and technology, APA style is preferred, but other styles may be used. Once your submission is received, it will be assigned to three editors for review. A decision to accept/reject will then be made. Decisions to accept may be accompanied by a request for revisions before a final decision is made. The next issue will be released October 2019. The absolute maximum length of any syllabus accepted for publication is 4 pages, with margins (left, right, top, and bottom) of no less than once inch and with Times New Roman font size 12. All submissions and inquiries should be directed to Ada Long at adalong@uab.edu. Please send all submissions to Ada Long at adalong@uab.edu. NCHC journals and monographs are included in the following electronic databases: ERIC, EBSCO, Gale Cengage, and UNL Digital Commons. Both journals are listed in Cabell International's Directory of Publishing Opportunities.